Window cleaning in Newton Mearns from Alpha window cleaners, East Renfrewshire. 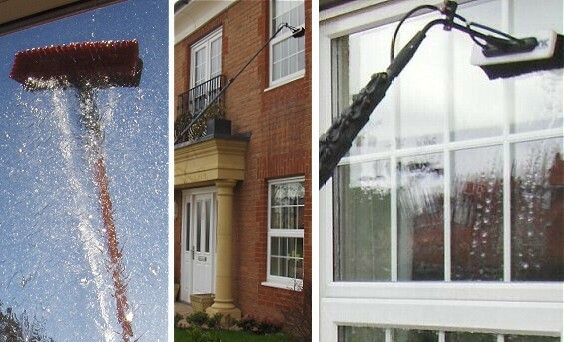 Newton Mearns window cleaning is fast and efficient from Alpha window cleaners Newton Mearns. Our professional window cleaning teams cover East Renfrewshire and more. Our professional window cleaning teams are insured, licensed and fully trained. our customer think we are the most thorough and convenient window cleaners Newton Mearns has to offer. Why not try our window cleaning service for yourself to see what you think. Using the latest water fed pole technology to clean your windows, conservatories and all other glasswork. We can guarantee a streak free finish by using purified water to scrub and rinse your windows. Searching for a reliable window cleaning company in Newton Mearns ? We have built up an excellent reputation from our conservatory and window cleaning services. We provide a professional service at reasonable prices. We provide the following cleaning services to commercial and residential customers across East Renfrewshire. Say goodbye to ladders on your property and hello to your privacy once again. With our water fed pole system it is no longer necessary to use ladders to reach the upper floors of your property. We can clean up to heights of 60ft from the safety of the ground. This means a much safer working environment for our staff and no risk of accidents on your property. Conservatory cleaning in Newton Mearns from Glasgow Window Cleaning. Another advantage of our water fed pole window cleaning system is how it allows us to reach high level windows and conservatory roofs. We clean your conservatory from the safety of the ground, so there is no risk of damaging delicate and fragile conservatory roofs.